We are excited to host Alberto and Micaela of the Cleveland Tango School in Philadelphia for weekend workshops March 15-17! The workshops will be at the intermediate to intermediate-advanced level, and limited to 6 leaders and 6 followers in each workshop to ensure that each student receives plenty of attention from the instructors. They will be leader/follower-balanced, although it is not required to register with a partner. 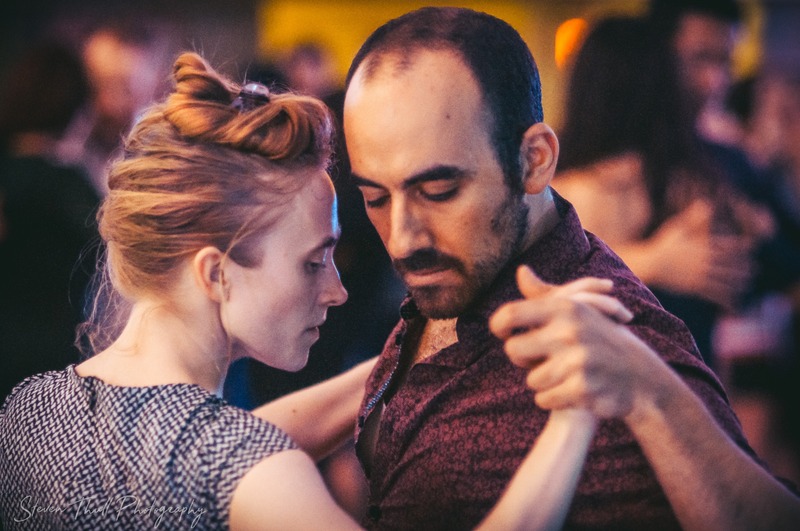 Alberto and Micaela’s approach to tango is thoughtful and profound. Learn from them and you will find yourself a better dancer. Don’t miss this opportunity to work with a dynamic and talented couple! In addition to the workshops, Alberto and Micaela will be available to teach private lessons and will be performing at Milonga La Clasica. Private lessons! Please email Sarah (sskchung@gmail.com) to schedule private lessons with Alberto or Micaela. Private lessons available before or after the workshop. Space is limited, and pre-registration is required, so please register soon to secure your spot. Details and registration at www.damianandsarahtango.com.